I’m really excited to announce that we’ve had some great food waste figures in for the first two weeks of the new collection service. Early indications show that food waste has increased by 50% compared to the same weeks in 2016. Well done Colchester – keep up the good work! I recently had chance to visit the processing centre where we send our cans and glass to be recycled. I love this side of my job, it’s absolutely fascinating – I’ll try not to bore you too much but wanted to explain what happens. Many of the food and drink products we buy are in cans, jars or bottles – all materials are 100% recyclable – which is just great. Although we ask you to separate glass and cans where possible (as it makes it quicker for our collection crew when tipping it into the right part of the truck), you can put them all in the same box and our crews will sort them by hand at the kerbside. The metal is compressed into bales and we transport it to the processing centre. The materials are sorted as aluminium, steel and foil and get processed separately. They get melted into blocks, called ingots, which are then rolled into sheets. They are made into new items like food or drink cans and even car parts and aeroplanes. The surprising thing is that it only takes six weeks for the new aluminium cans to be in the shops – I think that’s amazing! Did you know that only bottles and food jars are 100% recyclable? Other types of glass are made with different ingredients which can’t be recycled. Once they’re at the processing centre, the glass gets sorted into different colours, washed and broken into small pieces called ‘cullet’. It is then reformed to make new glass bottles and jars. I was fascinated to find out that recycling just one bottle can save enough energy to power a TV for 20 minutes?! We use Green Boxes for recycling our cans and glass in Colchester. Our crews will collect it every two weeks – on a Blue Week. 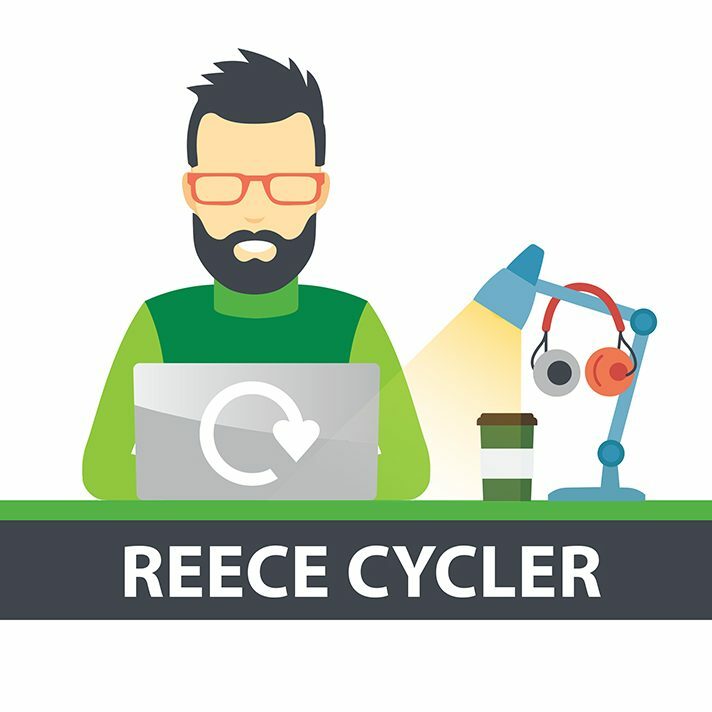 If you’re not sure what you can or can’t recycle here’s a quick guide, but you can find a full list on our website here. I know a lot of you will have at least one Green Box as we’ve given out over 15,000 in the last few weeks – but if you need one you can pick it up for free from a local stockist. Next week I’m hoping to show you what happens to your plastic recycling…so watch this space. In the meantime, keeeeeep recycling! Struggling to remember which bin goes out when?